Last week, on fairly short notice, Cunard Line’s Queen Mary 2 added a new port of call to her collection when she made her first visit to Sept Iles, on the Quebec North Shore of the Gulf of St Lawrence. A former fur trading centre and now an iron ore port, Sept Iles has been going after cruise business since opening a cruise terminal at its Quai Monseigneur Blanche berth in 2010. 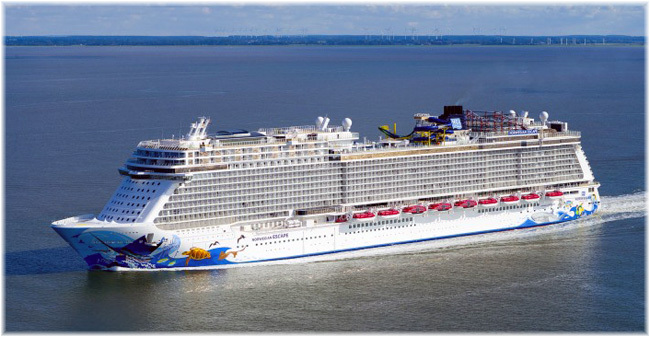 Elsewhere, Norwegian Cruise Line has announced that it will be moving its New York ship, Norwegian Breakaway, to the Baltic next summer and then to New Orleans at the end of 2018. Viking Cruises, meantime, has announced that its fifth ship, Viking Orion, will be sent to cruise in Alaska in 2019. It is not very often that a superliner changes her itinerary on short notice but that is what happened last Monday when the 2,750-berth Queen Mary 2 ended up calling at Sept Iles, a relatively new port for cruise ships located on the North Shore of the Gulf of St Lawrence. The 9 am to 5 pm call replaced one that had been scheduled for Gaspé, on the other side of the St Lawrence. Last week, due to a 10-knot speed limit in the Gulf of St Lawrence to protect stray whales, Queen Mary 2 had to cancel a call at Gaspé and go to Sept Iles instead. It was not planned to go to Sept Iles until 2018 but the call was nevertheless a sucess. 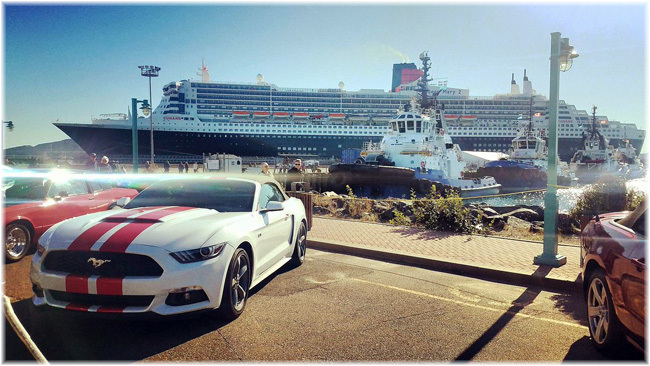 The Sept Iles call took place during Queen Mary 2’s 7-night September 29 cruise from Quebec to New York. Her first Sept Iles call had originally been scheduled for September 28, 2018, as part of a 29-night cruise from Southampton to New York, the St Lawrence, Quebec, New York and back to Southampton. These combination voyages by Queen Mary 2 offer an alternative to the month-long autumn cruises from the UK to Canada sold by Cruise & Maritime Voyages, Fred. Olsen Cruise Lines and Saga Cruises, as well as a number of german operators. 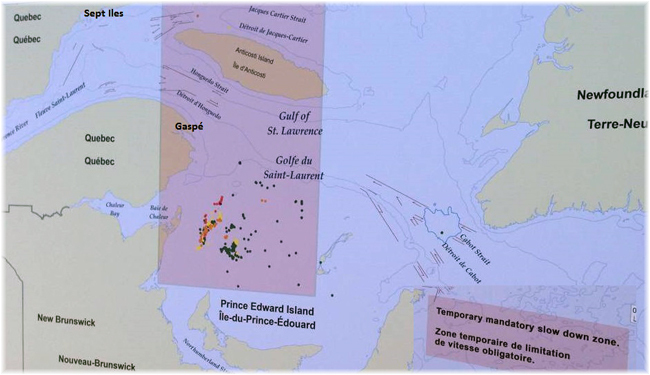 The reason for this port change was that since early August Transport Canada has been restricting all ships to a maximum speed of 10 knots on most of the western side Gulf of St Lawrence because of the presence this summer of North Atlantic Right Whales. 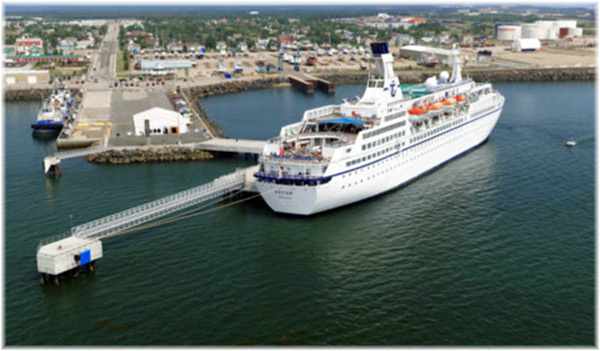 Some forty cruise ship calls have had to be cancelled as a result, most of them at Gaspé. The whales have apparently commuted up from the Bay of Fundy into the shipping lanes to the north. Shipping has not moved so slowly in the Gulf of St Lawrence since the Quebec-Sydney convoys of the Second World War, which were instituted after German U-boats started torpedoing ships in the Gulf of St Lawrence in 1942. Two cruise ships, Regent’s 490-berth Seven Seas Navigator and Pearl Seas Cruises’s 210-berth Pearl Mist, have been fined $6,000 each for travelling too fast across the Gulf of St Lawrence. Ironically, Transport Canada even had to fine one of its own Coast Guard ships, CCGS Sir William Alexander, which was caught exceeding the 10-knot speed limit. Last week’s call also turned out to be an early reunion for Atlantic Ocean rower Mylène Paquette and Queen Mary 2, which helped her in her boat Hermel, which is now on display on the Sept Iles waterfront. Paquette became the first person from the Americas to row alone across the North Atlantic, when she did so in 2013. 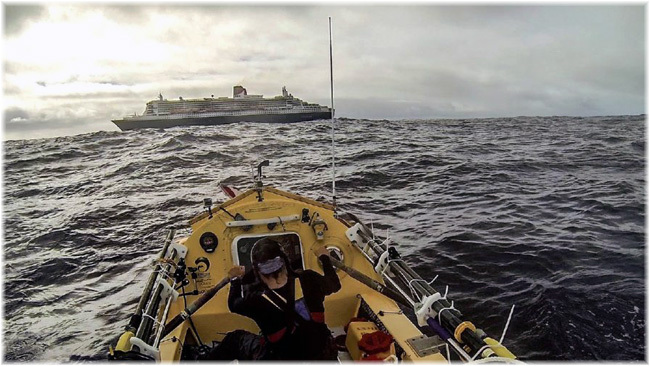 On September 26, 2013, day 83 of her 129-day crossing from Halifax to Lorient, the Queen Mary 2 made a rendez-vous with the Hermel and with the permission of the Ocean Rowing Club supplied Mylène with a new satellite telephone and some fresh fruit and vegetables. Mylène was thus on hand last week for the Queen Mary 2’s maiden arrival at Sept Iles. Other cruise ships calling at Sept Iles this summer included Crystal Cruises’ 980-berth Crystal Serenity and Silversea’s 388-berth Silver Whisper, which both called on September 26. This marked the first time two cruise ships had called at Sept Iles simultaneously. Also calling were Cruise & Maritime Voyages’ 848-berth Marco Polo and the Silver Whisper, which returned for a second call. The Sept Iles Cruise Terminal at Berth12, known as Quai Monseigneur Blanche, originally welcomed passengers from coastal ships when it was first opened as a general cargo terminal in 1954. That was in the days before a highway was opened to connect Sept Iles with the rest of Quebec in 1960. 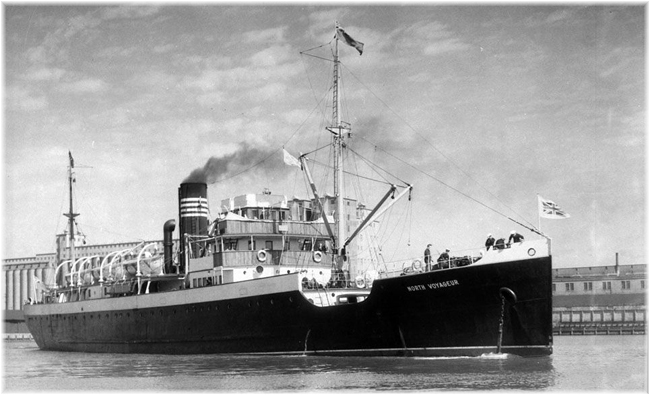 Between 1921 and 1961, a coastal operator, the Clarke Steamship Company operated weekly passenger and cargo sailings in season that could also be booked as round trip cruises from Montreal. Of the Clarke ships serving Sept Iles, two named North Shore and two called North Voyageur, plus the Gaspesia and Sable I, offered berths for between 50 and 80 passengers each, while the company’s 142-berth New Northland made spring and autumn calls when not engaged on her usual summer cruises. Built at a cost of $20.6 million Canadian dollars, the Cruise Terminal was opened in 2010, and the first ship to call there was the 1,976-berth Norwegian Spirit on June 4. The first modern-day cruise ship to visit Sept Iles was Holland America Line’s 1,266-berth Maasdam, which had called on May 19, 2009, while the cruise terminal was still being built. 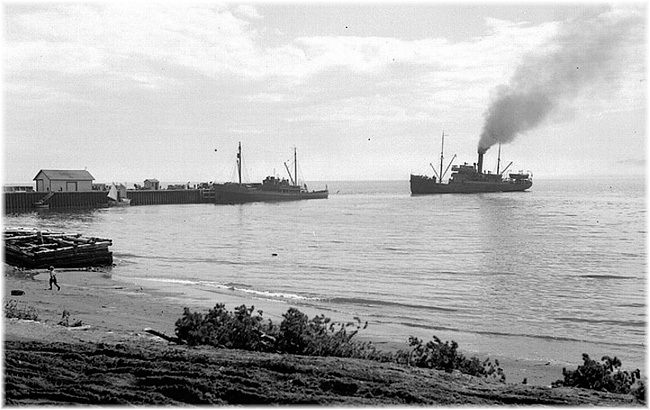 Sept Iles is Canada’s fifth largest port, after Vancouver, Montreal, Saint John and Quebec, and was first connected to the iron mines in the interior of Quebec and Labrador by the Quebec North Shore & Labrador Railway in 1954. The port’s main industries are the export of iron ore from the interior and more recently the production of aluminium, but for centuries it was a trading post, fishing station, and for a while, a whaling port. Although the explorer Jacques Cartier visited Sept Iles in 1535, Basque fishermen had been visiting the bay long before he arrived. With a population of about 26,000, Sept Iles also counts about 4,000 Innu people, most of whom live on indigenous lands. Between the Sept Iles band and the Innu and Naskapi nations at the northern end of the line, the indigenous peoples now operate the local passenger railway, Tshiuetin Rail Transportation (TSH), which connects Sept Iles with Schefferville, 357 miles to the north. Among the TSH’s offerings is a rail excursion between Sept Iles and Tellier, at Mile 18, to visit a traditional Innu camp, with departures scheduled for each cruise ship arrival. Other excursions are organised by boat to the seven islands that gave Sept Iles its name and to the Old Post, a reproduction fur trading post similar tp those that were run by the Hudson’s Bay Company, founded in 1670. 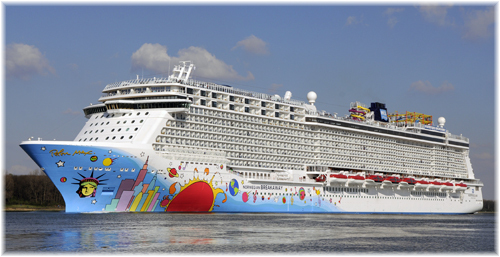 Norwegian Cruise Line’s 4,028-berth Norwegian Breakaway will be moving to New Orleans starting in the autumn of 2018. The ship, which has been sailing from New York since its debut in 2013, has a number of New York-themed features, but after five years she will now move elsewhere. After completing the summer season of 2018 in the Baltic, Norwegian Breakaway will move to New Orleans, where she is due to arrive on November 11, 2018. She will then offer a variety of Caribbean cruises through to April 7, 2019. The 2,394-berth Norwegian Gem, which had been scheduled to sail from New Orleans in 2018-19 will now go instead to New York and sail a series of cruises to the Caribbean, Canada & New England and the Bahamas & Florida. In the summer of 2018, the 4,200-berth Norwegian Escape will move from Miami to New York, where she will begin to offer 7-night cruises to Bermuda. Viking Cruises is scheduled to take delivery of its fifth 930-berth ocean-going cruise ship, to be called the Viking Orion, in 2018. This name has replaced the previously intended name of Viking Spirit as future Viking ocean ships will now be named after constellations. 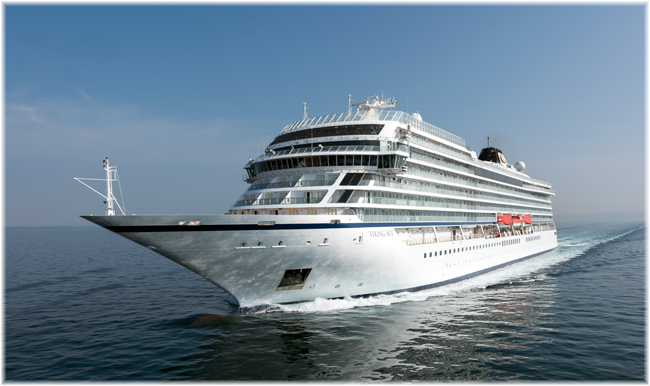 The announcement was made last week by founder and chairman Torstein Hagen at a press conference aboard the Viking Sky, the line’s third ship at the Manhattan Cruise Terminal, while on her maiden call to New York. The Viking Orion will be deployed in Alaska for the 2019 season, with her cruises alternating between Vancouver and Seward. Her 2018 and 2019 positioning cruises will meanwhile see her cruising the Mediterranean, Asia and Australia and New Zealand before she proceeds to Alaska. The fourth Viking ocean ship to enter service, Viking Sun, was delivered on September 25 by the Ansaldo yard of shipbuilders Fincantieri. 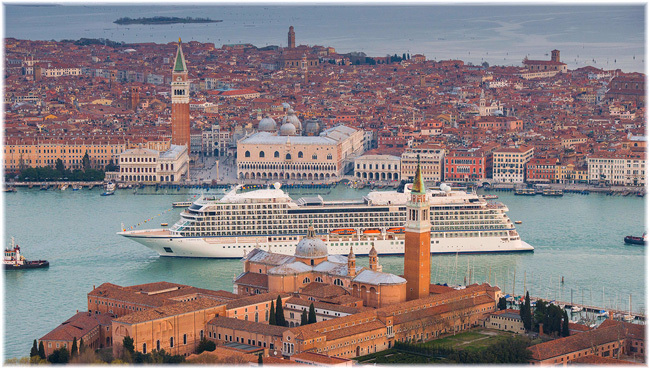 She has now joined the Viking Star, Viking Sea and Viking Sky, delivered in May 2015, March 2016 and January 2017, respectively. The line’s sixth ship, as yet unnamed, is scheduled for a 2019 delivery, followed by two more with deliveries scheduled for 2021, and 2022. All Viking’s ocean ships are being built by Fincantieri. A proposed hydrogen-powered cruise ship is also being developed based on the existing cruise ship design. To be around 755 feet long and accommodating more than 900 passengers, this would be a brand new zero-emission marine development. Viking says it has been working with the Norwegian International Ship Register on this and other projects. If developed, the new vessel will be registered in Norway.